Pulgini & Norton offers skilled and individualized representation to Boston residents with workplace injuries or illnesses. Our workers’ compensation attorneys bring more than 40 years of combined legal experience to help you claim benefits for a job-related disability. We can advise you on your right to wage, medical, and other benefits, and we can assist you if your claim is denied. You may be eligible for workers’ compensation benefits if you become disabled as a result of a workplace injury or illness. Massachusetts workers’ compensation law requires that all employers provide coverage to their employees in the event of a job-related accident. If you qualify for this system, you can receive financial compensation for your lost wages, medical care, and other benefits. To determine your eligibility, you have to undergo medical exams to assess your injuries or illness. Your employer’s insurer has the right to send you to one of its providers for an independent or insurance medical exam (IME), which is paid for by the insurer. The insurer uses the IME to determine the degree of your disability and need for treatment. You do not have to continue seeing the insurer’s provider for your care, but you must go to its preferred provider for the IME if it has one. After the IME, you can go to the provider of your choice for treatment. If a dispute arises over your eligibility for workers’ compensation benefits, the insurer and you will need to present the case to the Department of Industrial Accidents (DIA). The DIA handles appeals in workers’ compensation claims. The appeals process includes a conciliation meeting with a DIA mediator, a conference with an administrative judge, and a hearing if one of the parties appeals the judge’s conference order. While the insurer will rely on the IME for its decision to deny or reduce benefits, the administrative judge will rely on an impartial physician examination (IPE) at the hearing to determine whether your disability is work-related and the severity of your disability. An IPE is a medical examination that is conducted by an impartial physician to assess the existence and extent of a claimant’s disability in a workers’ compensation case. It can involve an actual physical examination or a review of existing medical records. IPEs are conducted by physicians who participate in the DIA’s Impartial Physician Program. 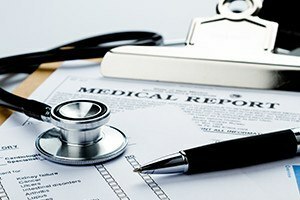 In 1991, Massachusetts enacted the program to eliminate biased medical exams and reports in workers’ compensation disputes. Since then, the DIA has developed a roster of impartial physicians to conduct non-biased examinations of a claimant’s condition. These physicians are board-certified and include orthopedic surgeons, neurologists, physical therapists, and providers in other specialties. In an appeal, the administrative judge must base his or her opinion on the strength of the medical evidence. Once an IPE is conducted, the physician will submit a written report to the judge. Both the claimant and insurer can depose the physician who conducted the IPE. The law, however, forbids any other physician’s medical report or deposition from entering into evidence. The judge may admit additional medical evidence, but only if he or she finds the physician’s report inadequate, or if the medical issues are complex. While the insurer typically pays for the IME, an IPE is paid for by the party who appeals the judge’s conference order. The costs include a $650 examination fee, a $750 deposition fee for up to two hours (and $150 per hour for up to two additional hours), and $300 for a review of your medical records without an examination, among other fees. The work injury lawyers at Pulgini & Norton provide diligent representation to disabled workers near Boston. If you suffered a job-related accident or became ill as a result of your workplace conditions, we can assess your eligibility for workers’ compensation benefits and represent you if your claim has been denied. Our attorneys have handled numerous appeals before the DIA. We can review and question a physician’s findings in your case and advocate for your rights at a hearing. We serve workers throughout Quincy, Somerville, and Cambridge, in addition to other areas of Massachusetts. Call our office today at 781-843-2200 for a consultation, or you can fill out our contact form online.